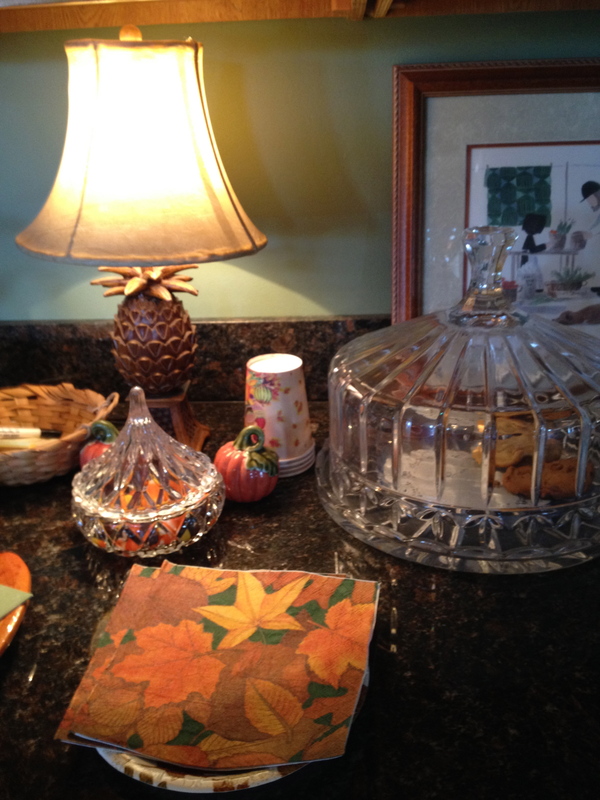 GreenRose of Raus B&B: Great place to stay on The Jack Trail | Oh, the Places We See . . .
You know how it is. You go to a site you want to visit (like Jack Daniel Distillery in Middle Tennessee), and you search the internet for somewhere nearby to stay overnight. But you’re not sure that what you see is what you’ll get. Well, we got lucky! 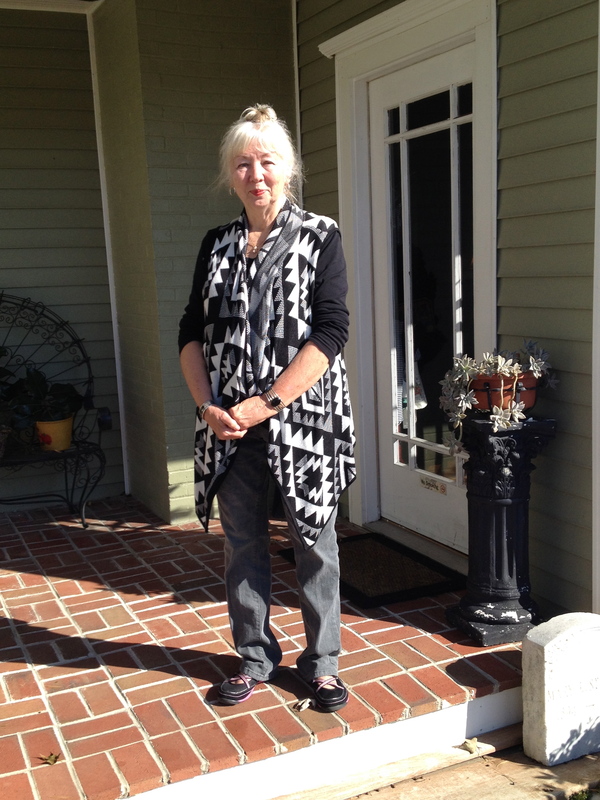 One of the bed and breakfast inns featured on the Jack Daniel site — the GreenRose of Raus — had it all: lovely country setting, beautifully prepared breakfast, and a most hospitable owner whose love of Tennessee and her B & B made it a great place to stay. 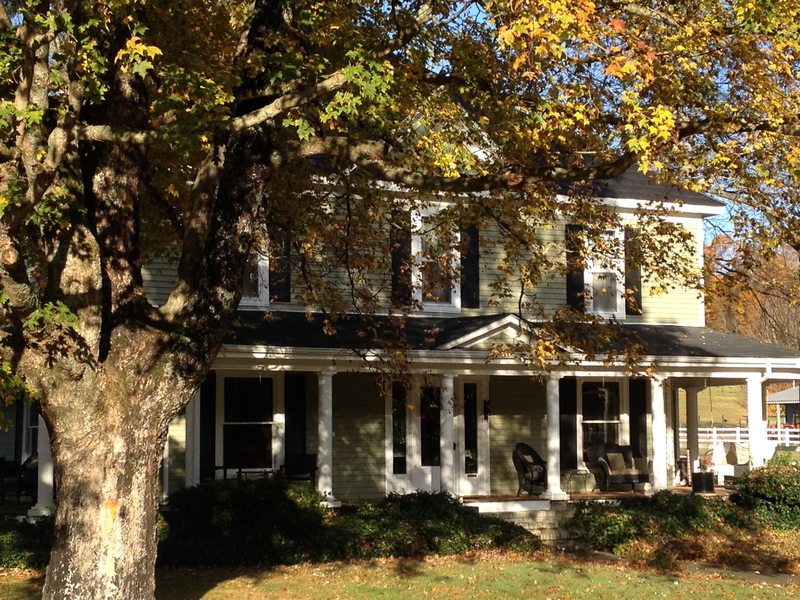 Located seven miles from the Jack Daniel Distillery and twelve miles from the National Walking Horse Celebration in Shelbyville, TN, this circa 1905 B & B resides in the country. The drive down Smith Chapel Road prepares you for a slower pace as you enjoy views of farmland, cattle grazing, and open spaces. 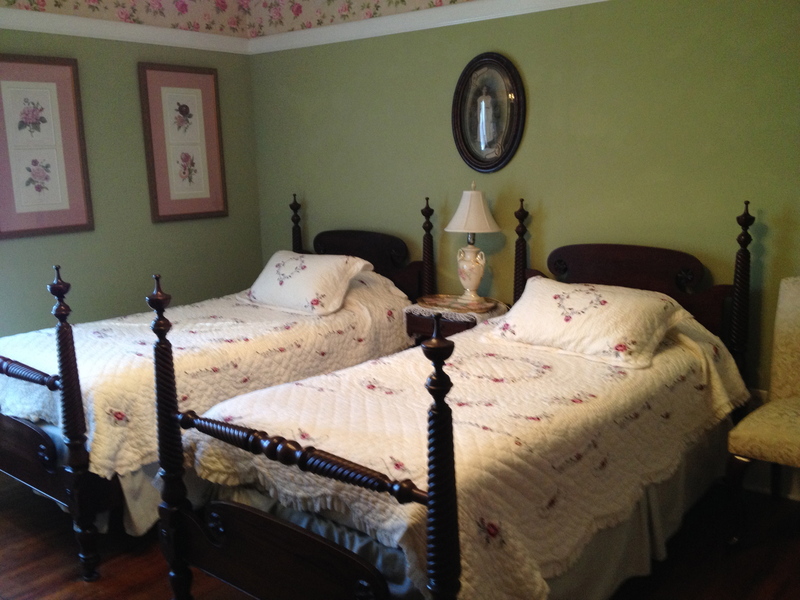 But when you get there, you can feel the warmth that sets this B & B apart. 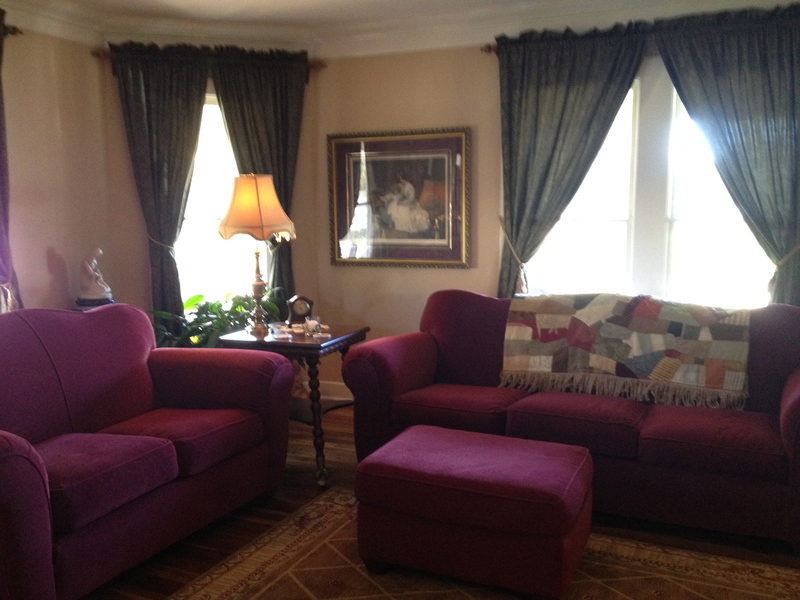 Pat Cox, who co-owns GreenRose of Raus with her sister Jeannie Williams invites you in to enjoy the amenities, like this comfortable parlor open to all. Original fireplaces like this one appeal to those who love antiques and old houses but also reveal the desire of the owners to leave as much intact of the original house as possible. 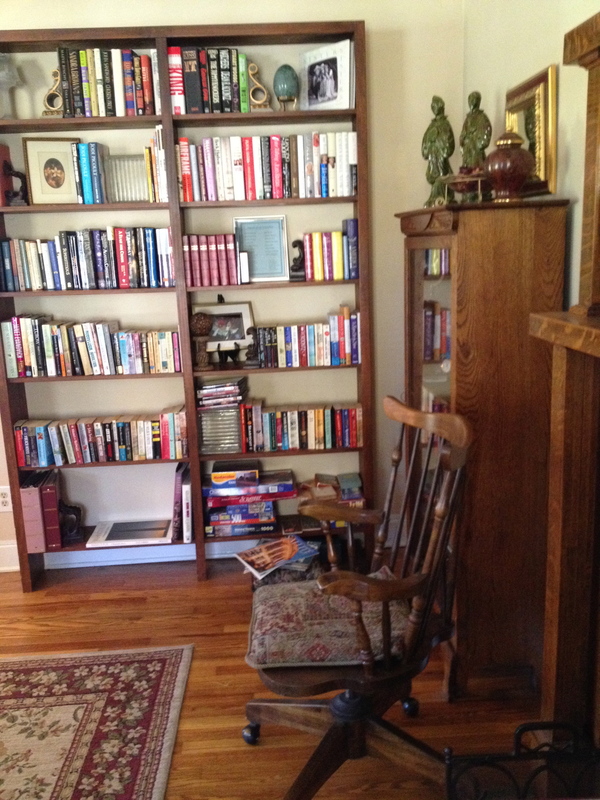 Shelves filled with books invite you to read while you stay at the B & B, but if you’re not finished, you’re welcome to take a book home and return it at your leisure. 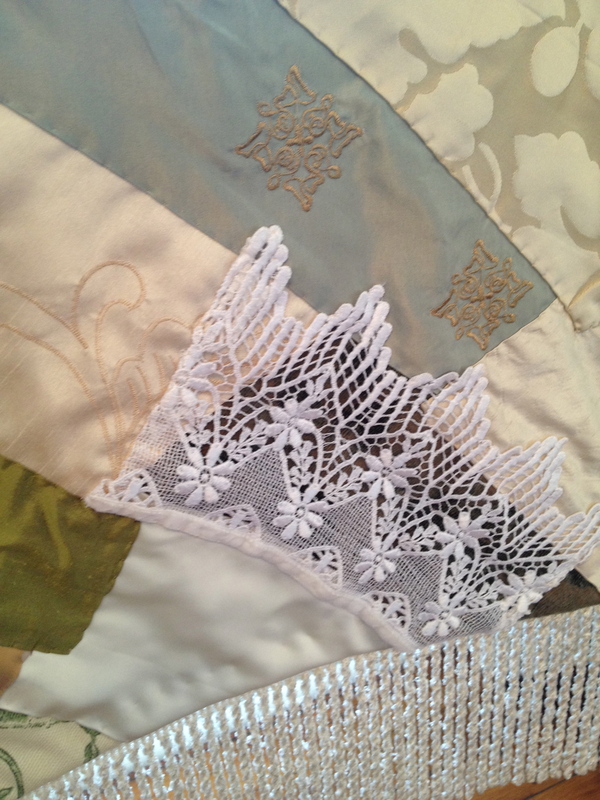 Perhaps what distinguishes an ordinary B & B experience from a special one is the person in charge. 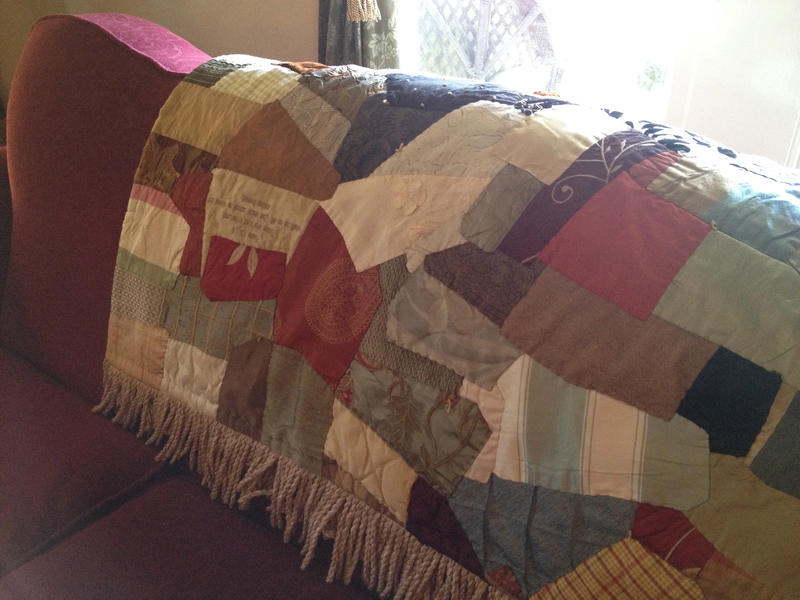 Pat Cox‘s tour revealed her love of quilts made from family heirlooms and stitched with Bible verses. She shared the origin of the name GreenRose with us — a rose with a rare color that interested the sisters and indicated something different that they could offer travelers. 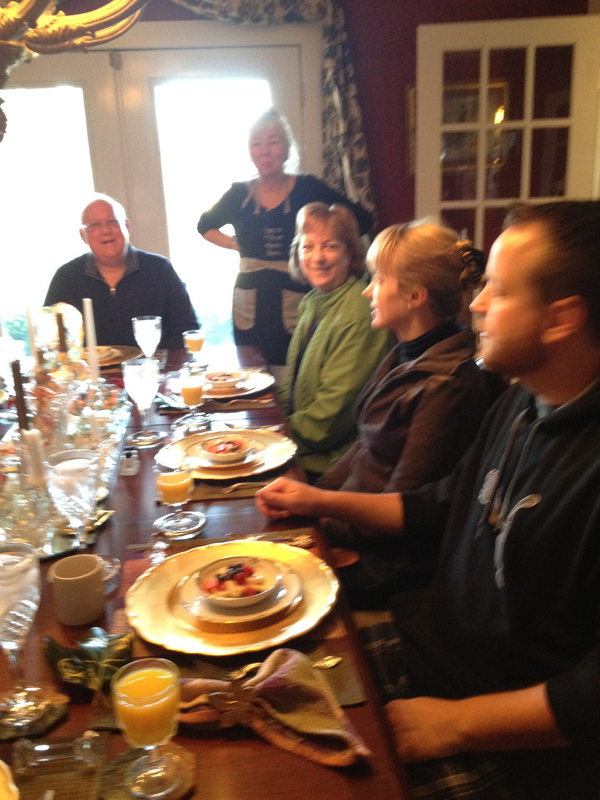 Although the home was comfy and accommodating, it was the breakfast that could bring us back. Pat engages everyone in lively conversation by asking simple questions of the guests to help everyone get to know each other. One couple recounted their love of all things Jack Daniel by sharing the extent of their bottle and memorabilia collections. Another couple was ending a one-week honeymoon and returning to the “real world” of jobs and merged families. And, of course, we ate. 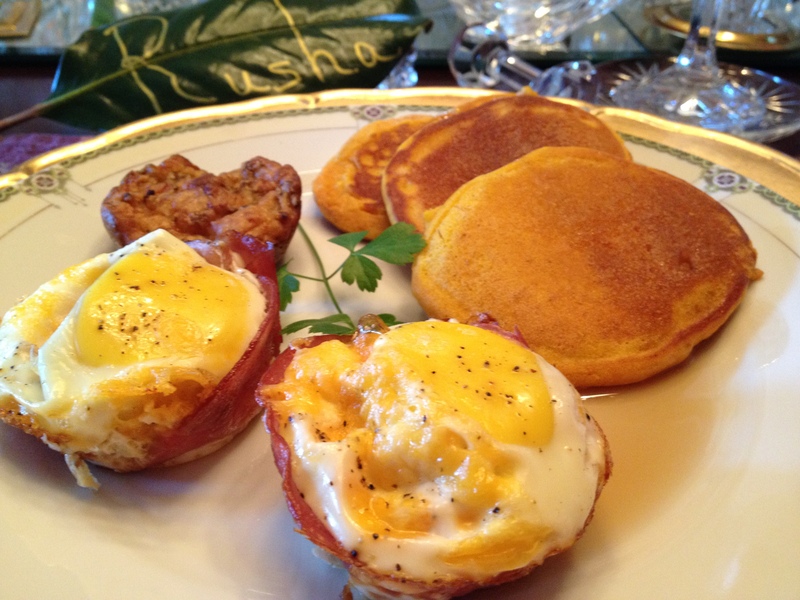 Pat served Bruce’s Baked Eggs — eggs surrounded by ham baked in a muffin tin — with the accompaniments of a Sausage Cheese Muffin, Autumn Blend Pancakes made with pumpkin and orange zest, and a Fruit Medley with Amaretto Dairy Cream! 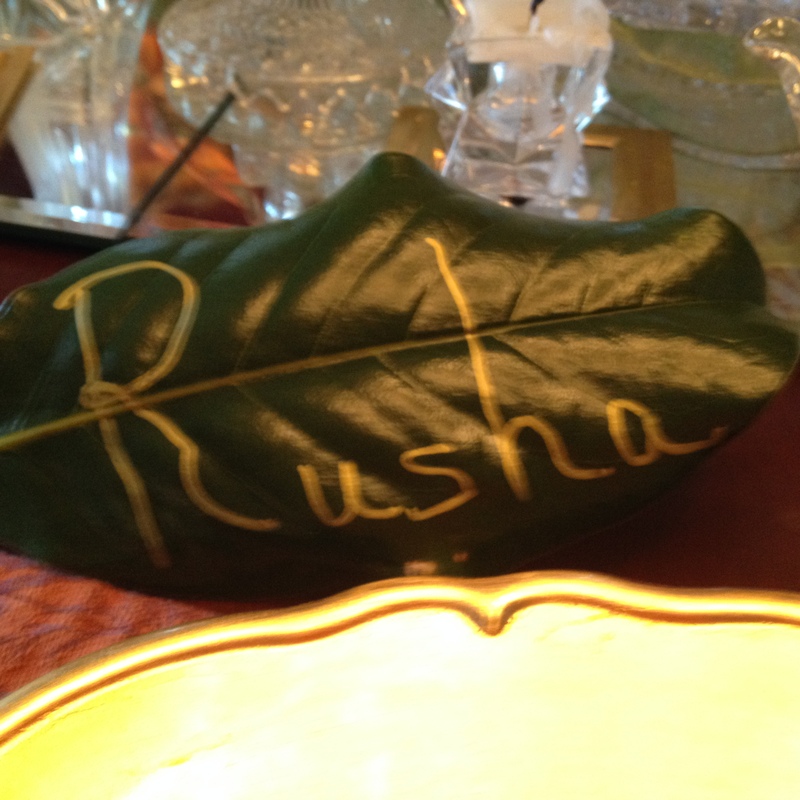 We each knew where to sit since Pat had hand-lettered our names in gold on leaves pulled from the magnolia trees out front. If you’re thinking of hitting The Jack Trail — over 375 miles of historic sites in Middle Tennessee (preserved homes, museums, distilleries, Civil War monuments, country music, etc. ), then consider staying at this centrally located B & B. GreenRose of Raus will help you rest and “regroup” as you think of your next travel adventure, your “real” jobs, or whatever is next on your agenda. But while you’re at GreenRose, just relax! Click here to read our previous blog post entitled Jack Daniel Distillery: Quality processing right here in Tennessee. This is post #25 of National Blog Posting Month (NaBloPoMo) 2013 sponsored by BlogHer and WordPress. This entry was posted in Bed & Breakfast Inns, Destination, Stay the Night, Tennessee, Travel and tagged GreenRose of Raus, Jack Daniel Distillery, Tennessee, The Jack Trail, tnvacations.com, Tullahoma. Bookmark the permalink. You’re right! Nice analogy. Thanks for commenting. 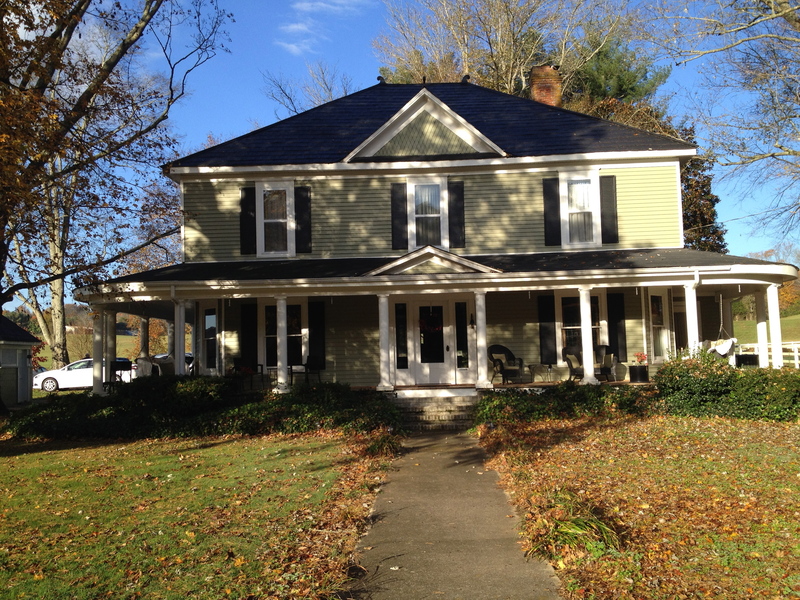 Still a lot of homes like this one here in Virginia. Love traveling in VA, but haven’t been in a while. 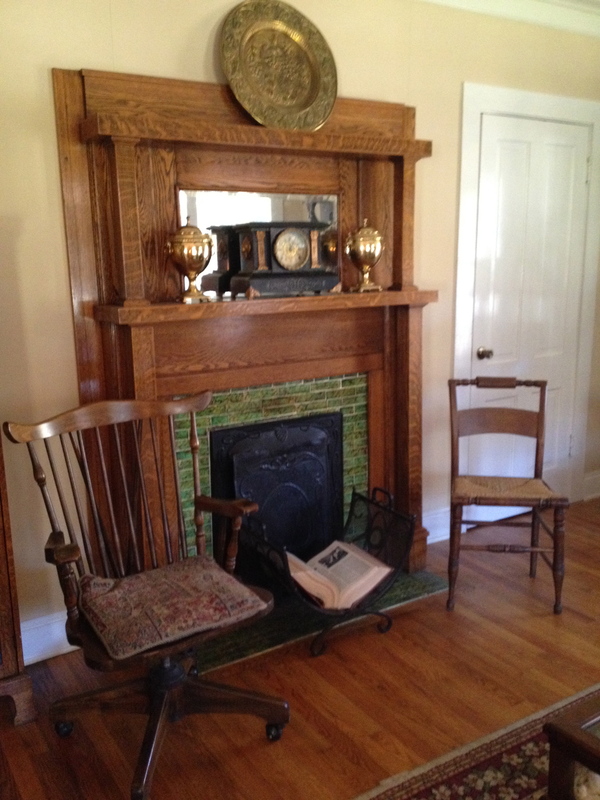 We love old homes, so staying in a B & B is one way we can enjoy them without having to own them!! It’s a good place to stay! I really like the owner, Pat!